Named artistic director of Opera Santa Barbara in August 2015, Kostis Protopapas made his company conducting debut with Carmen in November 2016. 2016 saw the end of Kostis' long association with Tulsa Opera, where he served as Artistic Director from November 2007 until May 2013, as Interim Executive Director from November 2011 until February 2013 and as Associate Conductor and Chorus Master from 2001 until 2007. During his 15-year tenure with the company, Kostis conducted 30 productions of a diverse repertoire extending from popular classics like La Boheme, Carmen and Cavalleria Rusticana/I Pagliacci to contemporary American works like Elmer Gantry, Of Mice and Men and A Streetcar Named Desire. About his 2011 Barber of Seville performances, Alex Ross of The New Yorker wrote "Most impressive was the fluid idiomatic playing of the orchestra... In any city, it's rare to find a conductor that sets the right tempo so consistently that you forget he's there." 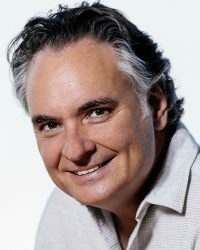 Kostis' leadership at Tulsa Opera focused on furthering the company's long-standing reputation for artistic excellence and expanding the company's commitment to contemporary and American opera. Under his leadership the company produced a major American work each season between 2011 and 2016. Other key initiatives of his tenure included the development of the Tulsa Studio Artists Program, the expansion of company's outreach and educational programs, and the forging of new partnerships with arts organizations in Tulsa and beyond. Between 202 and 2008 Kostis was also an Assistant Conductor for the Lyric Opera of Chicago, LA Opera and Santa Fe Opera. At the Lyric Opera of Chicago he also served as Assistant Chorus Master under Donald Palumbo for two seasons. Kostis started his career on the music staff of Virginia Opera and Opera Memphis; he conducted at Opera in the Ozarks every summer from 2000 to 2004; has been a regular guest conductor at Union Avenue Opera in St. Louis since 2007 and a guest conductor for the Des Moines Metro Opera, Opera Columbus, Shreveport Opera, El Paso Opera, Winter Opera St. Louis and the Westmoreland Symphony. In 2016-17 he will return to Winter Opera St. Louis to conduct La Cenerentola. Born in Athens, Greece, Kostis Protopapas studied Archaeology and History of Art at the University of Athens before coming to the United States in 1993, on an Onassis Foundation scholarship, to study piano at The Boston Conservatory and conducting at Boston University. 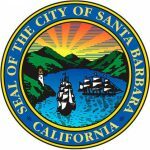 He became an American citizen in 2011 and splits his time between Chicago and Santa Barbara, with his wife, soprano and stage director Cathleen Dunn-Protopapas, and their four cats, Gus, Miles, Zsa-Zsa and Gigi. Heather Sterling is an accomplished makeup artist and hair stylist with a wide range of experience that includes work in theater, film, print, and fashion. She is a licensed cosmetologist and has a degree in fine art with an emphasis in psychology. Armed with an extensive knowledge of period makeup and hairstyles, Heather first designed for Opera Santa Barbara in 2006 for the company's performances of Tosca; since then her work has been seen in nearly forty OSB productions. She regularly designs for the Music Academy of the West's summer operas and she recently designed for the Granada Theatre's A Christmas Carol. 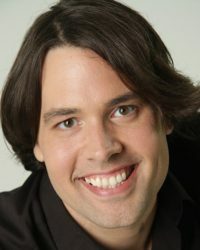 Elliott Deasy grew up in Tulsa, and holds a degree in music from University of Tulsa. He is an alumnus of Opera SB's Studio Artist Program, where he performed Pasek in The Cunning Little Vixen and Rememdado in Carmen and covered Don Jose and Prunier in La Rondine. He was also a Tulsa Opera Young Artist, covering Rodolfo in La bohème and singing The Messenger in Samson et Dalila. 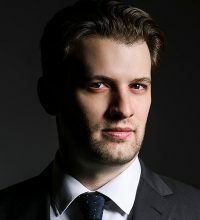 Other highlights in the tenor's young career include Brighella in the Costa Rican premiere of Strauss's Ariadne auf Naxos for the Jovanes Cantantes in San Jose, Schubert's Mass in G Major with the Greenwich Symphony Orchestra, and Basilio in The Bronx Opera’s production of Le Nozze di Figaro. His teachers include Peter Strummer and Frank Lopardo.